From the fact that we lost an hour of our weekend thanks to Daylight Savings and it being Sunday, we bet you could probably use a pick-me-up today. 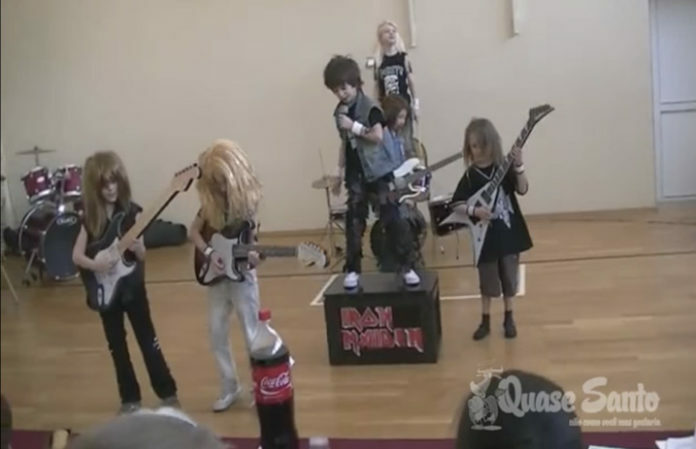 That's where this adorable mini Iron Maiden video comes into play. Although uploaded in 2013, it's making the rounds again and it'll be sure to put a smile on your face. The band of kids put on an awesome performance to Iron Maiden's “Ghost of the Navigator” that rivals the real band's own live performances. Check it out below and let us know in the comments what you think of the little rockers.